When Apple unveiled iOS 11 at WWDC there was a lot of time spent showing how it will drastically change the experience on the iPad. While the operating system delivers gargantuan changes to the Cupertino based company’s tablet line, iOS 11 is also bringing some pretty heavy improvements to the iPhone experience too. Just as High Sierra is bringing a huge list of smaller improvements to the Mac experience, so too is iOS 11 bringing a ton of incremental updates to the iPhone that make it better than ever. T3 is here to explain to you exactly what they are and tell you which we love the most. As is the case with every new numbered iteration of iOS, the software gets a ton of nuanced appearance changes that make the experience on iPhone more elegant than ever. To start with, there are new animations for when you turn on and unlock your iPhone as well as the fact that the apps in the dock on the bottom of the home screen now shake off their names and are instead just icons. It’s also worth noting that you no longer have circles displaying the current phone signal as Apple have reverted back to using bars. One of the biggest changes to iOS 11 is the Control Centre that is no longer made up of separate pages and instead utilises 3D Touch to allow the same functionality on a much smaller real estate. What’s more, Apple has even made the Control Centre customisable so that you can pick and choose what apps you want to be able to access while swiping up. A feature that Apple didn't mention at their WWDC keynote was the fact that Control Centre is now your gateway to the new screen recording function that allows users to, you guessed it, start a screen recording. This was previously a feature that could only be accessible through plugging an iPhone into an external recorder. Apple Pay is incredibly handy, but until now banking apps have been everyone’s port of call for transferring money on their mobile device. Apple is now creating an even easier way to transfer money from person to person by bringing Apple Pay to iMessage and in typical Apple fashion, they’ve made it incredibly easy to use. All you need to do to make a payment is to click the Apple Pay app on the iMessage screen, this allows you to either send money or request a payment from that chosen contact. Once you specify the amount you want to send it only takes the press of a button to make the person to person payment. If you receive money it goes onto your Apple Pay Cash Card that is also introduced with iOS 11, from there you can transfer money to someone else or put it directly into your bank account. The App Store hasn't changed much since it launched in 2008, but 9 years later it’s getting its biggest makeover that mimics the design of Apple Music by featuring a layout this focuses around cards. The first screen you’ll see when you load up the new store is a ‘Today’ section that features all the applications that have been released on that day. Developers will surely love this new page as it allows each application to take up a good amount of real estate on the screen with options to add embedded video that can show off applications further. Apple has acknowledged how fundamental games are in making up the App Store and so the company has decided to split the store into two. The first half is everything that qualifies as a game while the other section is for everything else. Each of these will have a top free and top paid section to carry on the heritage of the previous store design. With iOS 11, Siri now has a couple of new voices that Apple claim will sound less robotic than ever with the assistant able to say the same words in a number of different ways. What’s most welcome about the new Siri is that you are now able to edit the questions you have asked by tapping on your question to amend it if the assistant has heard you wrong. Siri will now also have follow up questions ready in case you want to press it further. Siri has also graduated from its language studies and is now able to translate for you on the fly. The translation functionality will be available from English to Spanish, German, French, Italian and Chinese when it launches with iOS 11 later on this year with further languages presumably set to arrive in future updates. What’s most exciting about Siri with iOS 11 is that Apple is opening up the assistant to developers to allow you to create a new note in Evernote or send a message in WeChat for instance. This is arguably the most confusing new feature in iOS 11; when you pull down at the top of the phone to access your notifications you will see them appear on the lock screen instead of having a separate widget for notifications. This may confuse some as you may think that you’ve mistakenly looked your device, however, fear not, this is where all of your notifications will now appear. If go to unlock your phone you have to swipe up from the middle of the screen to see all your active notifications. This is an odd UI move, we can only assume it'll make more sense when the iPhone 8 appears in September. Well, technically the iPhone 7 Plus can take Portrait Mode shots in low light, but now users are able to use the flash when taking bokeh effect shots in order to get the best picture in low light. Also, the Portrait mode now supports HDR so the sky’s in the background are going to look better than ever. iOS 11 has delivered a couple of new improvements to Apple Maps that might actually make you stop and think about using it over Google Maps. The two biggest improvements to the app come in the form of lane guidance so you don’t end up being the one that has to hold everyone up while you indicate to get in the right lane. The app will also display the speed limit of the road you’re driving on to make sure that you’re not speeding too. It'll be interesting to see how long this takes to make its way over the Atlantic. When you take a screenshot with iOS 11, a little thumbnail of the picture will now appear in the bottom left hand corner that lets you make sure that you’ve taken a screen shot of the right thing. Furthermore, if you tap on the picture you can now annotate the screenshot to circle relevant information or point something out. You can also take multiple screenshots in a row that will appear at the bottom of the screen. 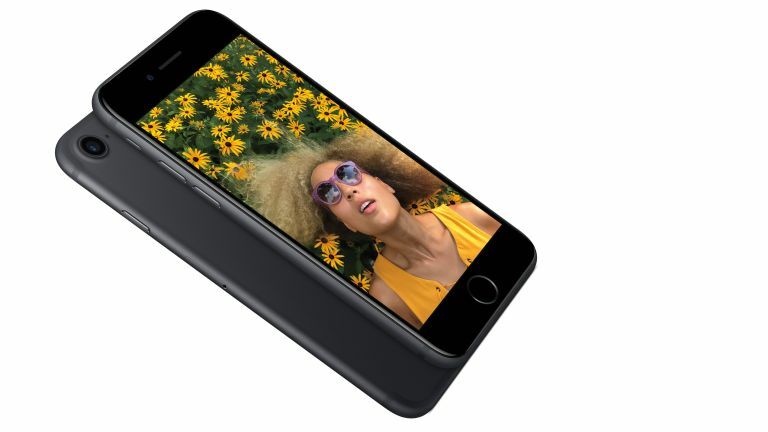 Apple has spared a thought for everyone out there with an iPhone that only has 16 or even 32GB of storage and is running low. iOS 11 will now come with a feature that will enable users to automatically delete apps that the software has detected are used infrequently in order to free up storage for more selfies. The best part of this new feature is that it will keep all app data so that if you decide to reinstall an app, all your data will remain. Videos that were taken on previous versions of Apple’s mobile operating system were done so at H.264. Now all video will be taken with High Efficiency Video Coding — this basically means that every video will be compressed without sacrificing the quality of the content in order to save storage space. Apple is applying a similar technique to photos that are traditionally taken in a JPEG format that will now use High Efficiency Image Format which will keep the same photo quality but will do it at half the size of pictures taken on an older operating system. Unlike previous operating systems, iOS 11 doesn't have that one big feature that makes it notable. It’s the best version of iOS yet, that’s to be expected, but it does it by combining a ton of incremental features in order to create the most seamless and intuitive experience. The greatest thing about iOS 11 is that it’s going to deliver an experience that has a ton of new functionality but does it in a package that feels very familiar at the same time. iOS 11 will be releasing towards the end of the year for both iPhone and iPad.